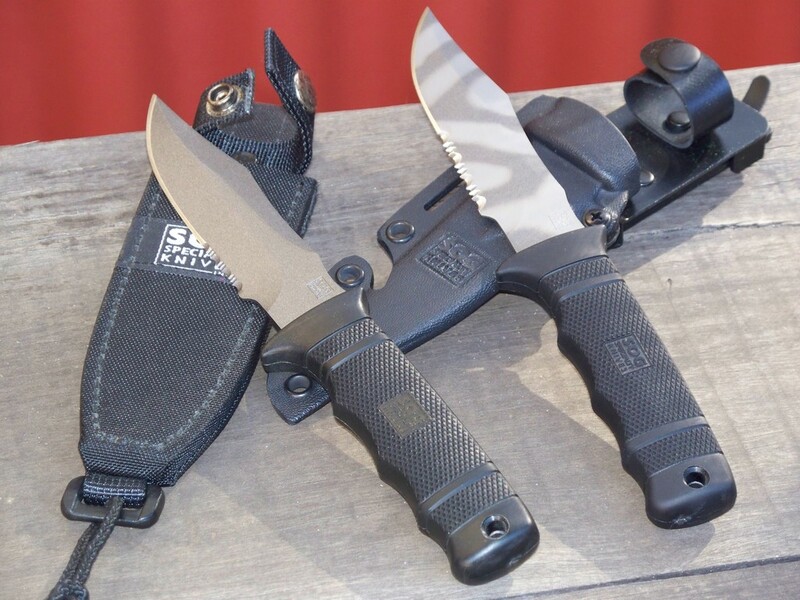 The SOG Seal Pup is the smaller version of the popular SOG Seal Knife 2000. Bearing the same excellent design and construction as its larger brother, the Seal Pup is a heavy duty knife that outperforms many similar knives of its size, and is durable and fitting for outdoor use. In a smaller package, the Seal Pup is made of the same steel that the Seal Knife 2000 was tested to endure, so it can be trusted to provide the same durability. The powder coating gives it extra resistance against corrosion, whether this knife is used in an outdoor or saltwater environment, in addition to giving the knife lower reflectivity (not that it matters to us civilians). Most users of the Seal Pup have nothing but good comments about it and it is a highly recommended knife. With a blade length of 4.75", the Seal Pup is a perfect size for carrying on a camping trip and still perform most bushcrafting tasks except chopping. 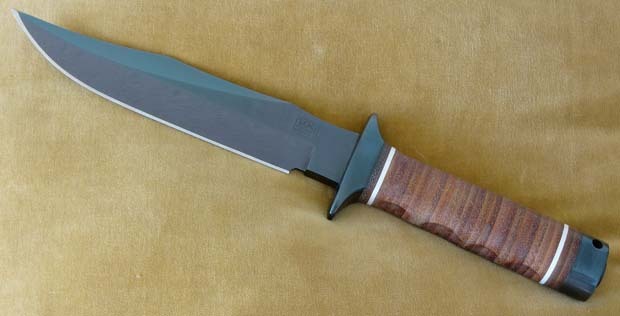 The Seal Pup is also the building model for the Seal Pup Elite, which offers a thicker blade and several changes, including the option of a plain edge. 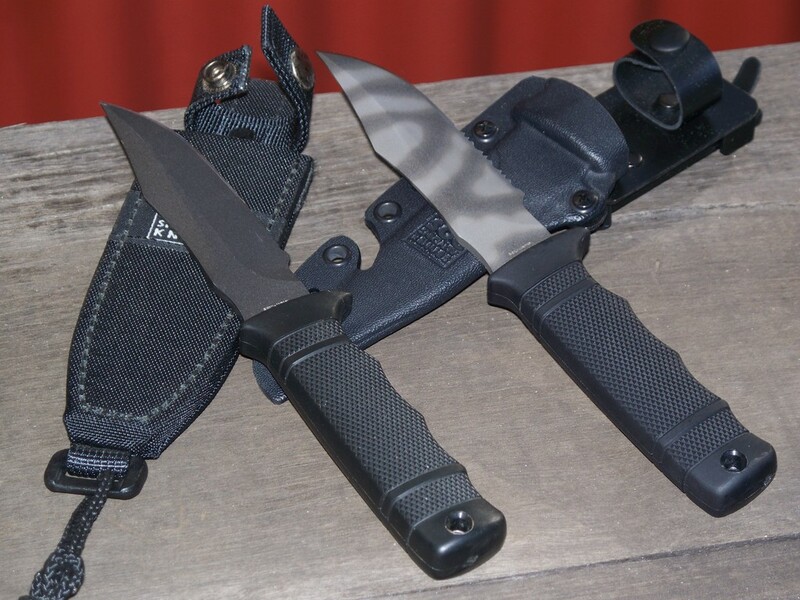 The Seal Pup has not been discontinued from SOG's production line, but its production has been shifted to Taiwan and is no longer produced in Seki, Japan. Copyright © Notice: If you plan to use our information (eg. selling your knife on Ebay), please cite our website by saying "Information taken from: http://www.sogknivescollectors.com" or mention our website. Blade Length: 4.75 in. x .160 in. The Seal Pup is the mini rendition of the Seal Knife 2000. It offers the same durability and performance and is an excellent field companion for outdoor and underwaters adventures.